I love shoes and am excited to kick off this event with Brian James Footwear. I have been living in my ballet flats and they may need replacing soon. Since I am always on the lookout for some comfortable yet stylish shoes to wear to work and out, when the wedges and booties arrived for review, I couldn't get them out of the box fast enough. The Brian James Footwear line was created by Angela Edgeworth, the founder of Pediped (one of my favorite lines of children's shoes). The designs are clean and classic with ultimate comfort in mind. Booties are HOT for fall and the 2.5 leather Wedge Bootie does not disappoint. It is not obscenely high that the soles of my feet are burning after an entire day of work. They are the perfect height to pair with dresses as well as slacks during the workweek and then with some skinny denim on the weekends. The insole is super cushioned as characteristic of Brian James Footwear. The bark brown leather is supple and the stitching is impeccable. If you are looking for the perfect everyday pump for work, look no further than Brian James' 2.5 wedge pump. It has the comfort of the ballet flat yet with a nice wedge to accommodate my pesky work pants. I have short legs and a long torso. That means that my work pants fall a wee bit different on me so that I can't wear my usual heels unless I want that dreaded flooded pant look. These wedges are perfectly soothing to my feet and allow the pant to fall seamlessly in place about .5 from the ground. 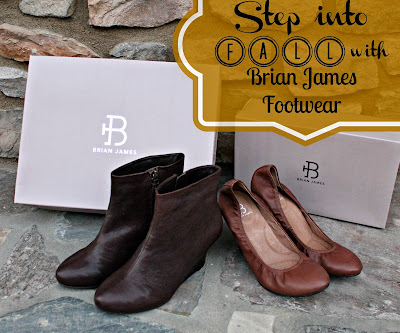 What's neat about Brian James Footwear is that you can try up to 5 pairs of shoes for free! Just order and then keep what you want and return the rest :) Happy Feet! Buy It: You can purchase the 2.5 Wedge Bootie for $125 and 2.5 Wedge Pump for $125. Hop around to the other blogs participating to enter to win some amazing prizes! Good luck! My favorite is the Angie - Noir. Definitely the Angie Noir, or maybe the Angie Rouge for a fun pop of color. I would choose the Angie Flat in RED!! 2.5 WEDGE PUMP in grey for sure! I love the Noir 3.5 boot in black! 3.0 Bootie $195.00 in blakc! I love the 3.5 wedge pump in black! I like the Angie in noir kid suede. I love the Noir Kid Suede ankle boots! I am loving the 3.5 Boot Noir Kid Suede! I like the smoke kid suede ballet flat. I would love to have the 3.0 BOOTIE in brown. I like the Angie in Noir. I love the Angie in Smoke Kid Suede -- for me! 3.5boot-Smoke Kid Suede for my niece!! I want that cute bootie! yowsa! I would love the 2.5 Wedge Pump in Cocoa Washed Leather. Thanks for the chance to win! I really like the 3.5 Wedge Bootie in Black and I would love to own a pair for myself. I'd get the Smoke Kid Suede Boots. I would choose the Angie--Noir. I love the Angie Ballet shoe in brown/suede. I would selfishly keep them! I would love to get the 2.5 Wedge Bootie in Noir Leather or Noir Kid Suede for myself. I like the Angie flat for myself. I like the 3.0 Bootie in Noir Leather. I'd love the angie in either cognac or rouge for myself! 2.5 WEDGE PUMP for me!! I would pick the Angie Noir for myself. I like the 2.5 Wedge Pump in Cocoa Washed Leather, very classy. They would be for me. What fantastic shoes!!!! I really like the 3.5 WEDGE PUMP in Oxblood! 2.5 WEDGE BOOTIE in black for me. I like the Wedge boot in black. The Angie flats in Rouge are cute! I love the Angie in Rouge, I was in a car accident almost a year ago, and due to injuries I cannot wear heels anymore. It's hard to find cute flats, but these I LOVE! The Angie Ballet Flat would be my pick for myself. I would choose the 2.5 Wedge Bootie in Noir Leather (black) for me since I don't own any boots or even anything dressy looking and would love to own these. I like the charcoal leather 3.0 Bootie for me. 3.0 noir leather Bootie! 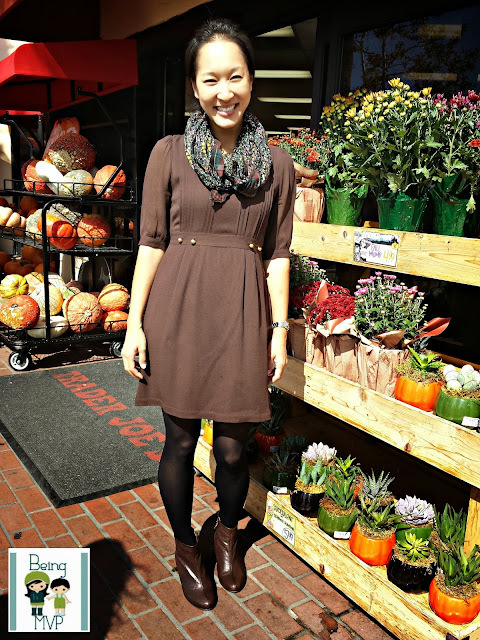 Super cute for fall and winter. I like the smoke kid suede ballet flat. Thanks so much for the fantastic giveaway! I would love the 3.5 WEDGE BOOTIE in Charcoal Kid Suede for me. Thanks! I like the 3.5 WEDGE BOOTIE in charcoal kid suede they are so nice I would have to give these to my sister. I love the 2.5 wedge pump in charcoal for me! my mom would love the angie noir for work! 2.5 Wedge Pump - Noir... for me! I like the bootie 2.5 wedge in black. I love the 2.5 Wedge Bootie in Bark brown leather for me me me! I love the 3.5 WEDGE PUMP in Cocoa washed leather for myself! Oh, my! I LOVE the 3.0 BOOTIE in Charcoal leather, and they would be for ME! I think I'd get the 3.0 Bootie just for myself- something I never do! I'd get the 3.0 bootie in charcoal for myself! I love the 3.0 Bootie in Noir Leather! I would pick the Angie in black for my daughter, Katie. The 3.5 Wedge Bootie in Charcoal Kid Suede would be a great Christmas gift for my sister! I love the 3.5 smoke kid suede, soo cute!! Oh and they would be for me! I like the 2.5 WEDGE PUMP in noir nappa leather for me. I really like the 3.0 Bootie Noir Leather boots. Some people love shoes, I love boots! I have a lot of them in my collection and wear them year round. On warm days, I wear the ones that are not lines. I find them very fashionable. Thanks for the super giveaway opportunity. Keep up the terrific blogging. I would like to surprise my Stepdaughter with the 3.0 BOOTIE for Xmas. She is still too young to have too much of a heel but I can live with this style for her to wear. I love the 3.5 wedge bootie in noir, and they'd be for me. I love the Angie Noir shoes! I want the Wedge bootie in black for my GF. 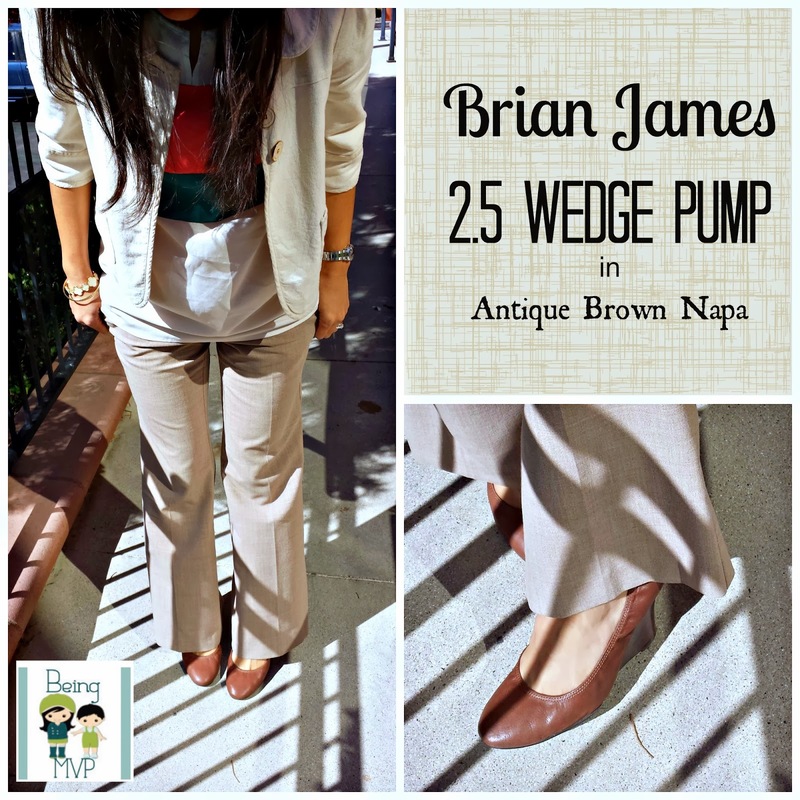 I like the 3.5 inch wedge pump because my hubby's tall so I can wear tall shoes! I'd like the Angie ballet fats in black. I really need to replace my old ones.